Working out can be boring, and it can be difficult to be constantly motivated. 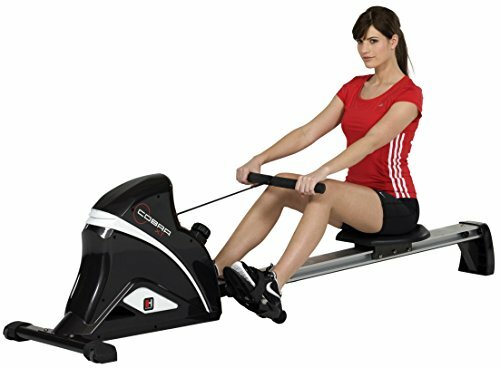 With the Body Sculpture BR-3301 Rowing Machine, you’ll be looking forward to your next workout session because of its racing games! That means you’ll never have to dwell on the pain in your muscles during your exercise. Instead, you’ll be working hard to win the race! That sounds fun, doesn’t it? But of course, there’s more to the Body Sculpture BR-3301 Rowing Machine that makes it reasonable for its price. Keep on reading as look closer into the features of this particular model. Body Sculpture is one of the most trusted fitness equipment manufacturers in the UK, but it’s also famous around the world. 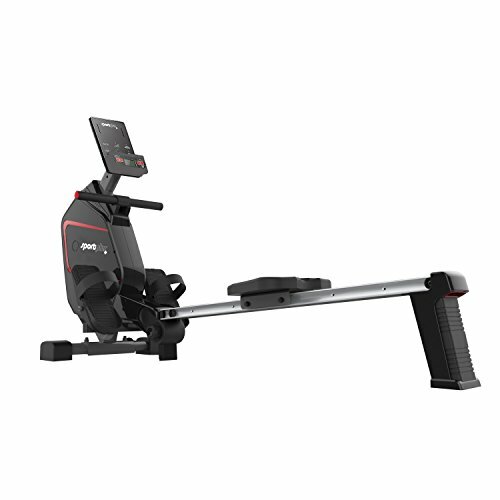 Their Body Sculpture BR-3301 Rowing Machine is one of their mid-range priced indoor rowers, but it’s packed with a lot of features. It isn’t too heavy weighing only 39kg, but it’s undoubtedly sturdy with a maximum weight capacity of 100kg. 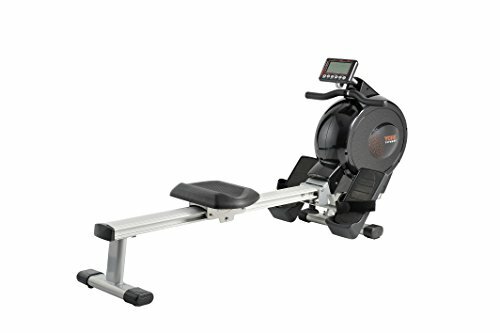 This rowing machine guarantees a smooth and quiet rowing motion as its aluminium rail has a low-friction and it provides 8 levels of adjustable tension. Since rowing requires seating, it’s essential that you feel comfortable on the seat of the machine. Fortunately, the Body Sculpture BR-3301 Rowing Machine has a large and comfortable non-slip seat that keeps you in place even during an intense workout. It’s also supported by six wheels for a smoother rowing experience with every session. Your feet are also kept in position with the large pivoting footplates and adjustable foot straps. Rowing can be a hard workout, but if you’re comfortable and you don’t hear any disturbing noise, you’ll surely make the most out of each session. The Body Sculpture BR-3301 Rowing Machine is integrated with three racing games which are considered as its pre-set programs, and it allows you to create your workout as well. These racing games won’t only keep you entertained, but they inspire you to work hard without noticing the pain that rowing brings to your muscles. If you’re not in the mood for a racing game, you can also choose from the eight levels of resistance which are manually adjusted. You can view all your data and play the games on the large computer. The Body Sculpture BR-3301 Rowing Machine is foldable which is an advantage when it comes to any home gym equipment. This means you can keep it out of sight when you’re done working out or when you have visitors coming in, and you don’t have enough space to accommodate them. There are also some negative points in the Body Sculpture BR-3301 Rowing Machine. Despite the large computer it has, sadly it isn’t backlit so you may have a hard time reading it in dark lighting conditions, or even when it’s too bright. This can give you a hard time in monitoring your progress throughout your session. Also, it doesn’t have transport wheels, which isn’t a big problem because it’s lightweight. But some people might still not be able to drag it, and it might ruin your floors. Nonetheless, if these issues don’t bother you that much, then this rowing machine will serve you well. 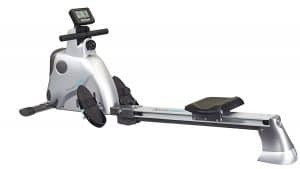 The SportPlus SP-MR-009-iE Rowing Machine is a slightly more affordable option, but it offers some excellent features. It’s Cardio fit App compatible, which means you can connect it to your smartphone or tablet and view your data anywhere. Through the app, you can also create your own tracks on Google Maps and run them in street view mode. Place your tablet on the integrated tablet holder and have a view on the streets even when you’re indoors. 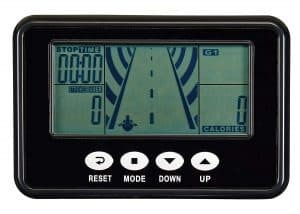 This rowing machine also challenges you to become better with 24 levels of resistance which can be adjusted via computer. On top of that, the SportPlus SP-MR-009-iE Rowing Machine is very sturdy with a maximum weight capacity of 150kg, which gives you an unbeatable value for its price. SportPlus SP-MR-009-iE Rowing Machine Detailed Review? CLICK HERE. The York Excel 310 Rowing Machine is yet another mid-range priced rowing machine from an established fitness equipment manufacturer. It’s built to be tough and to last a long time with its maximum weight capacity at 120kg. It boasts of a 5.75 LCD display which allows you to see the data at any angle. 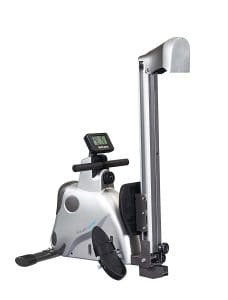 This rowing machine is also made to challenge even the advanced users with its 6kg flywheel with 16 levels of manual magnetic resistance. It has a large padded seat, wide foot pedals, and a 113cm aluminium track, which makes it suitable even for users taller than 6ft. Being TUV certified to German standards, the Hammer COBRA XT Folding Rowing Machine is undoubtedly a solidly built machine. Its maximum user capacity is at 120kg, and it allows you to workout confidently because it’s stable. With ten intensity levels and a 5kg magnetic resistance flywheel, you can get an efficient total body workout no matter if you’re a beginner or a pro in rowing. Ever wonder why it’s called a cobra? Well, it’s because it looks like a cobra when folded, so you have to be careful bumping into it during lights out! Hammer COBRA XT Folding Rowing Machine Detailed Review? CLICK HERE. The Viavito Sumi Folding Rowing Machine is the most affordable choice in this list, but it isn’t the “least”. In fact, it’s a bestseller in the marketplace, and a lot of customers are satisfied with their purchase on this one. 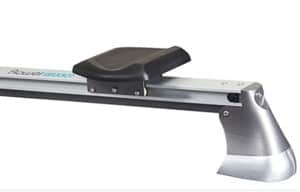 It’s an entry-level indoor rower, but it’s also appealing to those who are used to rowing. It offers ten levels of friction-free and silent magnetic resistance, and it has a 7 kg flywheel. The LCD console doesn’t do much but display your data, but it’s enough to read from afar. What’s even more impressive about this budget-friendly equipment is that its quality is comparable with the more expensive models. It can equally hold users of up to 120kg while being lightweight at only 26.1kg. 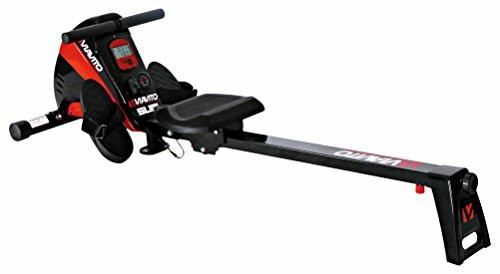 Viavito Sumi Folding Rowing Machine Detailed Review? CLICK HERE. The Body Sculpture BR-3301 Rowing Machine is highly-recommended not only for beginner but also those for experienced users. It’s offered at an affordable price point while being integrated with useful features. On top of that, the built-in racing games will push you to become better, especially if you’re competitive when it comes to games. You might not be aware that your muscles are getting stronger and your body is looking greater.